A range of Infrared (IR) emitters, from OSRAM Opto Semiconductors, in standard 5 mm (T-1 3/4) through-hole plastic packages. Some IR LEDs within this range are a spectral match with silicon photodetectors. 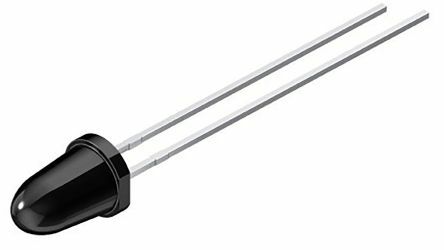 This range of Infrared (IR) emitters, from Kingbright, are in standard 5mm (T-1 3/4) packages. These IR LEDs also have a round package. 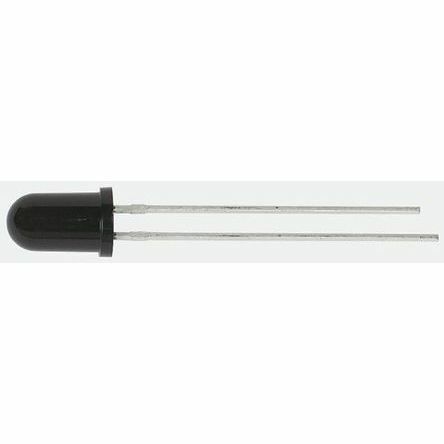 The 5mm IR LEDs are mechanically and spectrally matched to their phototransistor.